I had a major hankering for this juice yesterday. Not sure why this combination sounded so good, but I’m glad the temptation of laziness was suppressed. You know the one where it sounds like a good idea but the idea of prepping the ingredients and then cleaning the juicer afterwards becomes forfeit before you even start. Yeah. That laziness. Luckily I told myself, just do it. After all It has been months since I juiced, the last time being Mr. Bitters. 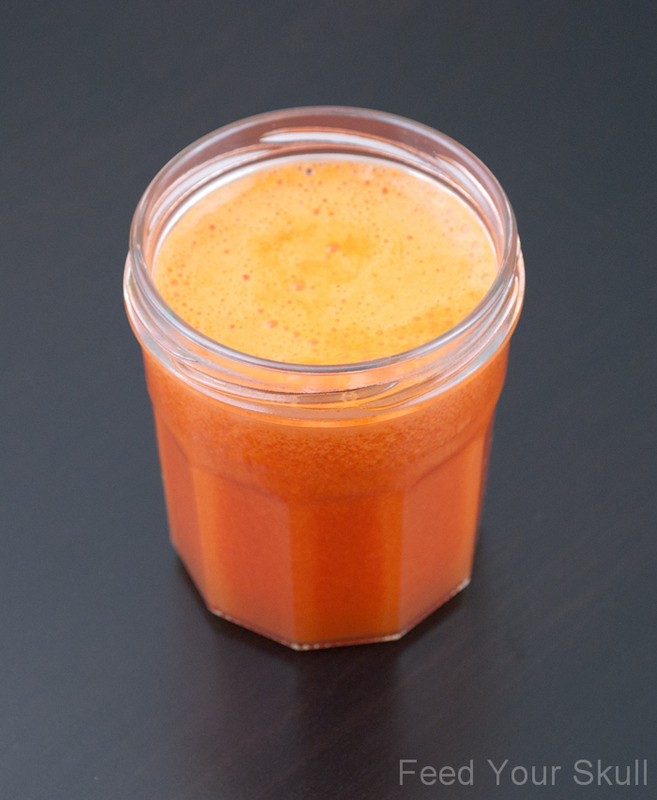 The ingredients of choice, going with the theme of using up what we have on hand, were 2 grapefruits and 9 carrots so that’s what went into this simple but thirst quenching juice. Feed through the juicer alternating between carrots and grapefruit until all is juiced. Enjoy! Share if you want. 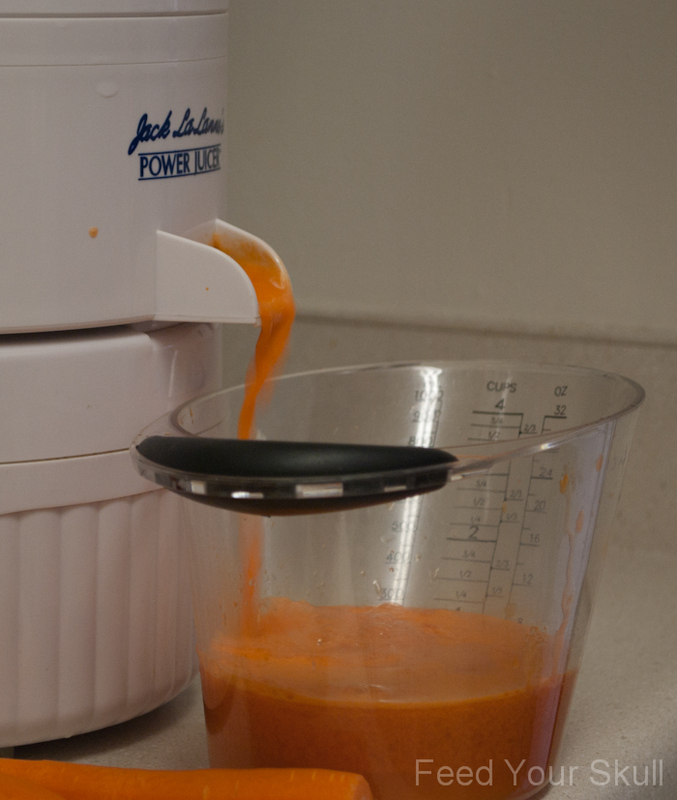 We’ve had this trusty and cheap juicer for 3 years now! I go through periods where I use it a lot and vice versa. Right now our kitchen is the size of a walk in closet so I’m not as excited to get it out. Our kitchen also happens to only have 2 outlets, one near the counter and one behind the refrigerator. 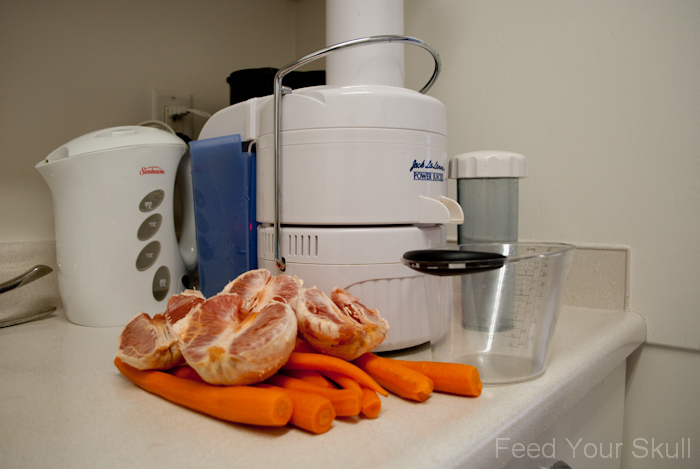 I want to do a post on how I make the kitchen a little bit more user friendly, perhaps soon!